When embarking on this journey there are a number of elements to be considered to ensure your engagement ring is a perfect representation of your love and individual style. Before deciding on the type of ring for your partner, it is important to understand their personal style. Look at her current jewellery to get a feel for her taste. For example; does she wear yellow, rose or white toned jewellery? Are her pieces large and bold or dainty and fine? 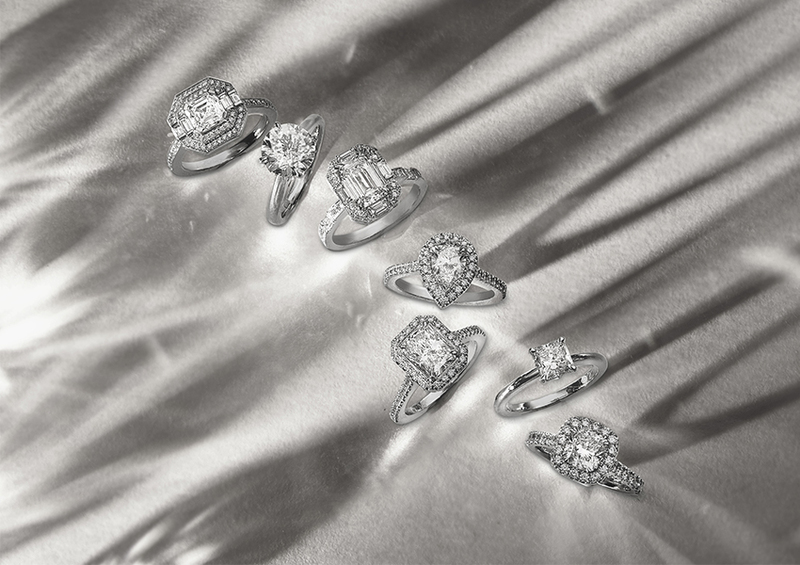 This will give you an indication of the type of engagement ring that she will adore. Another way to research her ideal ring is to speak to a close friend or family member to see if she has ever mentioned her ideas for an engagement ring. Looking at her social media, such as Pinterest boards, can provide a great way to keep the surprise whilst discovering her perfect ring. Once you have settled on a style that reflects your partner’s personality, it is important to consider the gemstone itself. Our team works with clients to uncover the best gemstone, such as Diamonds or Sapphires, and the perfect shape, size, cut and colour to create a timeless, sophisticated piece within your budget. The final element to consider is ring size to ensure the perfect ring fits your partner at the proposal. An easy way to discover her size is to borrow one of her other rings which she wears on her ring finger. We can then determine the size from this once you bring it into the boutique. If you wish to seek advice on a certain design or how to obtain the best ring for your budget, book an appointment with the team at Matthew Ely or visit our Engagement Section on our website - an online guide to help navigate the process and assist in making the right choice and decision.